Over his short life of 35 years, Mozart established himself as among the most enduringly popular of classical composers. 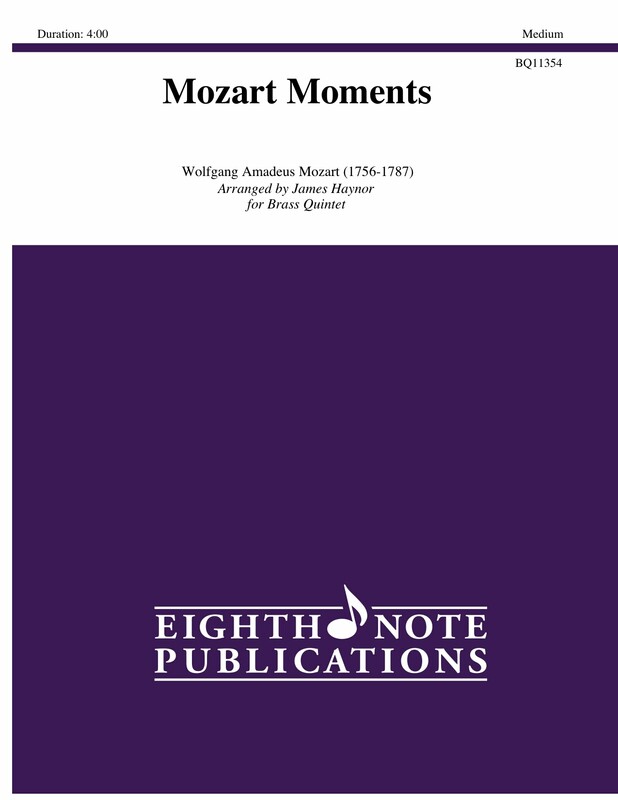 Mozart Moments brings to the brass quintet literature a medley of some of his most charming music. ExultateJubilate: Alleluia, Rondo Alla Turca, Clarinet Concerto: Movement II, Eine Kleine Nachtmusic : Menuetto, Rondo and Allegro all combine to bring to any audience a delightful sampling of some of the most famous music ever written.